This project was for a local company called Mountain Industries that transports pitch (like tar) from Sydney to Tomago. 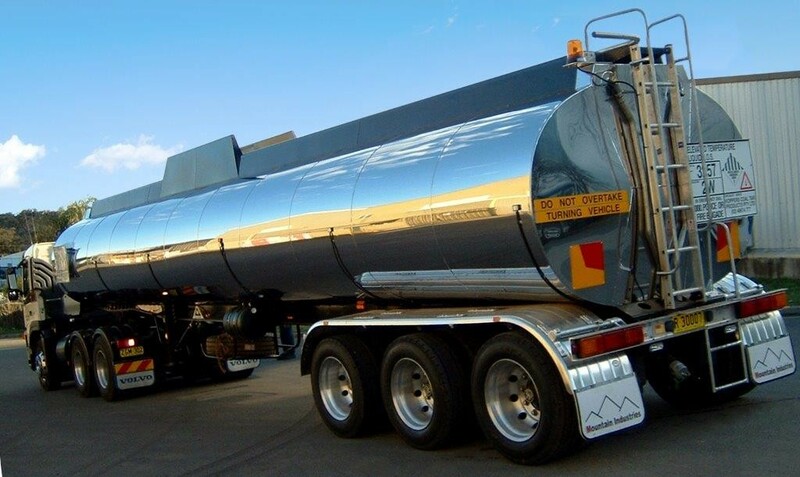 The transport truck required an internally fitted gas burner to keep the pitch in liquid form incorporated into the tanker. If the gas burner is extinguished the pitch starts to go off and becomes like concrete, so it is critical that the gas burner in the transport truck operates correctly. Our role in the project was to build the facility for Mountain Industries to fit the gas burner. We manufactured the tanker, and inside the tanker was the structure to fit the gas burner. Although we had built tankers before, we hadn’t constructed the structure to house the gas burner. In this case, our client provided the engineered drawings and designs and we worked from their drawings. In constructing this transport truck we were required to meet the strict standards of The Australian Dangerous Goods Code for transportation of dangerous goods. © 2019 R&R Murphy - Experts in metal fabrication.